Adequate funding is an on-going and critical problem for us. Many animals entering the shelter system are sick or injured and require immediate medical treatment. 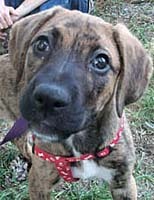 Litters of puppies and kittens often have special medical needs. All of the animals must receive basic vaccinations and be wormed. Animals in foster care need things like food and kitty litter, and on transport day, there are vehicle expenses. All of these expenses are on-going and necessary. They also can be very costly. Your tax-deductible donation can help fund these needs. You may make a credit card donation right now by clicking on the PayPal link below, or you may send a check made payable to AFOBC and mail it to this address: AFOBC, P.O. Box 452, Philippi, WV 26416. Not everyone can help by joining our effort as a volunteer or fostering a pet, but there are other ways to support our organization and the work we do. Won't you please take a close look at this page to see if there's something that YOU could do to help us? If you live in the Barbour County area, there's no better way to help the animals than volunteering your time and effort. To fill out and submit an application to join Animal Friends, click here. CAN HELP BY . . .
. . . keeping current ID on your pets. A lost/found pet with current ID will quickly be returned to you. You won't endure the torture of worrying about the welfare of your pet and your pet won't have to endure the fear caused by being lost and away from it's family or from spending time in the shelter system. PLEASE HELP US KEEP OUR FACILITY OPEN! Since 2002, the volunteers of Animal Friends of Barbour County, a 501(c)3 non-profit organization, have operated a no-kill animal shelter in rural West Virginia. Over the years, our shelter has placed thousands of dogs and cats in safe, loving homes throughout the Mid-Atlantic and Northeast areas. (Take a look at our 'Home Sweet Home' pages!) Funding for our shelter comes primarily from fund raising events, donations, adoption fees and some limited grants. Our general operating expenses can run up to $10,000 per month. Animals come to our shelter from the County Animal Shelter (where they would be killed if we didn't take them to our facility), owner surrenders and strays that we find or that are brought to us. Some of the pets are sick or injured, and we provide any care that is needed to help them recover and go on to be adopted. The vet bills for this care can be staggering, but we don't refuse to care for a pet that needs our help. A normal day sees us caring for an average of 300 dogs and cats. 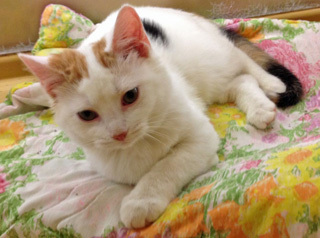 Some pets stay with us for months or even years until they are adopted. Some wind up living out their lives with us. All are loved and cared for by our dedicated volunteers. We care for pets that are considered to be 'senior' in age. Senior pets can be wonderful companions, but are most often overlooked for adoption simply because of their age. We are committed to providing a happy, healthy environment for these pets and that includes tending to their senior health issues. Veterinary care for senior health issues can be very expensive. When the needed funds are not available and we aren't able to provide the necessary treatments, we can find ouselves having to make heartbreaking decisions. Changing economic conditions often affect our ability to raise funds while operating expenses do nothing but rise. You can help us continue to raise funds by clicking on the GO FUND ME link below. Watch the video and PLEASE make a donation to HELP US KEEP OUR SHELTER OPEN! We are so very grateful to everyone who has helped us survive over the years, and we assure you that every penny we receive goes directly to benefit the pets in our care. And PLEASE share our GO FUND ME link with your animal-lover friends and family! Every donation counts and is appreciated! What a GREAT idea! You shop and we earn! If you already have a Kroger Plus card and use it when you shop at Kroger, you're already halfway there to helping us. If you don't yet have a Kroger Plus card, you can get one at the Service Desk at your favorite Kroger store. The next step is to register online for a Kroger account, if you haven't already done that. You can complete the account registration process by logging onto the Kroger website at www.kroger.com and clicking on "REGISTER'. You can search for us by name or use our ID number---TQ669. Once you've established your account, you need to 'SIGN IN'. Then click on the 'COMMUNITY' tab and then click on 'COMMUNITY REWARDS'. At that point you will be asked to choose the organization you would like to help. Then, every time you shop at Kroger and use your Kroger Plus card you will be helping our organization earn much needed funds! ENROLLMENT IN THE KROGER COMMUNITY REWARDS PROGRAM! Your enrollment expires on August 1st every year! Please remember to go to www.kroger.com to renew your enrollment! Let the dog out, let the dog in. Let the cat out, let the cat in. If you feel you spend most of your day catering to the in/out whims of your furry friend, it may be time for you to think about installing a pet door. PetDoors.com has a pet door for every installation situation you can imagine. 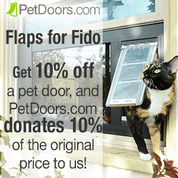 And best of all, when you purchase a pet door from them, you get a 10% discount and PetDoors.com donates 10% of the original price of the door to us! When we were constructing our facility, we chose PetDoor.com for our pet doors, so we know we're recommending a quality product. We hope you'll check them out! Click on the button below to see their complete product line and get help with all your pet door questions!